Parthemore Funeral Home & Cremation Services, Inc. has been honored as the 2018 Simply The Best Funeral Home by Harrisburg Magazine.This is the thirteenth year that the Parthemore Funeral Home has been honored. Every year, the readers of Harrisburg Magazine vote for their favorites businesses in categories including: restaurants, service providers, destinations and many others. For over four decades, Parthemore Funeral Home & Cremation Services has been providing A Family Tradition of Caring. Parthemore is committed to the families they serve and the community in which they live. An independent, family-owned funeral home, Parthemore offers pre-arrangements, cremation and traditional services, suited to each individual. Parthemore Funeral Home is pleased to announce that there are now officially three funeral directors named Gilbert at Parthemore Funeral Home. Gilbert A. “Gibby” Parthemore completed his funeral director internship and all the requirements to become a certified funeral director at the end of February 2018. He now joins his grandfather, Gilbert (Gil) Parthemore, his father, Gilbert (Gib) Parthemore, and his uncles Steve and Bruce Parthemore as a funeral director in the family business. Gibby has worked at the funeral home since high school. In the spring of 2014, he began pursuing a degree in Mortuary Science and graduated from the Pittsburgh Institute of Mortuary Science in 2016. At that time he started his funeral director internship which was completed this past February. Gibby graduated from the University of Pittsburgh, with a dual degree in Business Administration and Political Science. He is also a graduate of Cedar Cliff High School, located in Camp Hill, where he was Class President and played football, basketball, baseball and track. Each year the Exemplary Service Award is given to the top three nominees and is based on the feedback OGR receives through the Family Contact Program. The winners of the Exemplary Service Award will be recognized at OGR’s Annual Conference in April. For over four decades, Parthemore Funeral Home & Cremation Services has been providing A Family Tradition of Caring®. Parthemore is committed to the families they serve and the community in which they live. An independent, family-owned funeral home, Parthemore offers pre-arrangements, cremation and traditional services, suited to each individual. For more information, visit www.Pathemore.com. 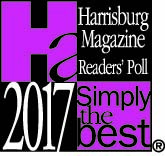 Parthemore Voted 2017 "Simply The Best"
Parthemore Funeral Home & Cremation Services has been honored as the 2017 Simply The Best Funeral Home by Harrisburg Magazine. 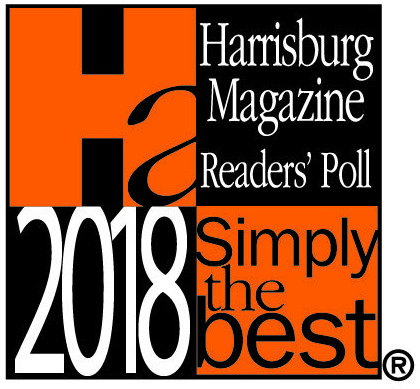 Each year, the readers of Harrisburg Magazine vote for their favorite businesses in categories including area services, destinations and many other categories. For over four decades, Parthemore Funeral Home has been helping local families through difficult times. Congratulations to Our Founder - Gil Parthemore! Gilbert W. Parthemore, founder of Parthemore Funeral Home in New Cumberland, PA and a licensed Pennsylvania funeral director for 50 years, was honored for dedicated professional service by the Pennsylvania Funeral Directors Association (PFDA). The award was presented by Debra Ashton-Chase, PFDA President, at a special recognition ceremony event at the 136th Annual PFDA Convention & Expo. Mr. Parthemore is a graduate of Eckels College of Mortuary Science, Philadelphia. Prior to opening Parthemore Funeral Home, Mr. Parthemore spent two years in the United States Army, worked as a funeral director and also freelanced with other funeral homes before founding Parthemore Funeral Home in 1969. He retired from Parthemore Funeral Home in 1998 handing over the reins to his three sons. For over four decades, Parthemore Funeral Home & Cremation Services has been committed to the families they serve and the community in which they live. An independent, family-owned funeral home, Parthemore offers pre-arrangements, cremation and traditional services suited to each individual. Bruce Parthemore serves on the Board of Directors as a District Governor for the Pennsylvania Funeral Directors Association (PFDA), one of the largest and oldest state funeral director associations in the country. Bruce is a long-time member and supporter of PFDA, whose core mission to preserve, protect and promote the independently family owned funeral home and to help PFDA members provide meaningful ceremonies and rituals surrounding death. As District Governor, Bruce provides leadership, governance and oversight to PFDA. He holds a fiduciary duty to the association and helps to ensure accountability of the Executive Director/ Legal Counsel. He represents District #9, which includes the Capital City, Dauphin County, Lancaster, and York County local funeral directors associations. In his role as District Governors for PFDA, Bruce attends local association meetings that take place within his district and serves as a liaison between the local members he represents and PFDA. Bruce is one of only ten District Governors on the PFDA board of directors, representing the thousands of licensed funeral directors serving families across Pennsylvania. In addition to his role as District Governor, Bruce also serves on the board of directors of Unichoice™ Cooperative, Inc. (Unichoice™), which provides administration of the SecurChoice™ pre-need trust and insurance programs in Pennsylvania. The mission of Unichoice™ is to provide products and services to support funeral homes and their service to the community. 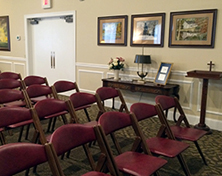 Parthemore Funeral Home recently finished renovations to their chapel and foyer. Updates to the interior included a new ceiling, carpeting, paint and wainscoting. The furniture and artwork were also updated to make the room more comfortable and spacious. 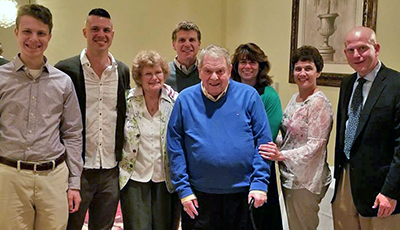 Pictured left to right: brother Steve Parthemore, wife Joanna Parthemore, son Christopher Parthemore, Gib Parthemore, son Gibby Parthemore, mother Sondra Parthemore and Dr. John Judson, incoming president of Rotary Club of Harrisburg. Gilbert “Gib” J. Parthemore, Supervisor of Parthemore Funeral Home and Cremation Service, recently received the Robert D. Hanson Rotary Excellence Award for his continued work in helping the Rotary Club of Harrisburg reach the Club’s strategic community service goals. The Excellence Award is named in honor of Robert D. Hanson’s dedication to Rotary on the local and regional level. Hanson had been an active member of the Rotary Club of Harrisburg for more than three decades. 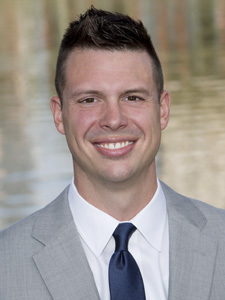 Gib Parthemore has been active in service and leadership roles in the community and the Rotary Club of Harrisburg for over 17 years. He has served on the board of the Rotary Club of Harrisburg and the Red Land Senior Citizen Center. He has served his community as president of the West Shore School District Board of Directors where he served as a director for eight years. Gib is also a member of numerous Masonic organizations and the Knights of Columbus. Rotary International is a volunteer organization with over 32,000 clubs in more than 200 countries conducting humanitarian programs that address today's issues, such as hunger, poverty, and illiteracy. The 1.2 million members donate their expertise, time, and funds to support local and international projects. The cover of the Order of the Golden Rule’s special 80th anniversary edition of The Independent Magazine featured a familiar face—our own Steve Parthemore. Steve was picked to represent the edition’s theme, “It’s Members that Matter.” The Parthemores have been a member of the OGR for the last decade. The Independent Magazine, a publication of the Order of the Golden Rule (OGR), recently featured an article about a group of dedicated, part-time Parthemore employees, many of whom are retirees, who help out with everything from maintaining the funeral home grounds to assisting with funeral services. The article explains how much of the credit for Parthemore Funeral Home’s ability to provide outstanding service is due to these hardworking individuals, who have retired from full time careers as corporate executives, postal workers, law enforcement, engineers and other vocations. CLICK HERE to read the entire article featured in magazine.